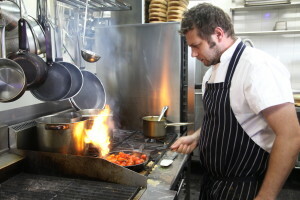 Gerhard Pienaar is an Executive Chef in Sydney. Now he has opened his exciting Franchise in Sydney and brings his year of experience and skills to Capital Roast. Providing creative catering to every event and celebrating the art of food on your special day. His knowledge and fantastic service will make any special occasion a memorable one. 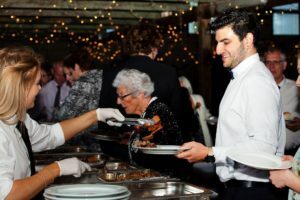 Gerhard is able to provide the finest of Capital Roast catered events, and also specializes in creating menus to suit any event or budget. If you are in Sydney and would like a menu created just for you ask Gerhard and he will work closely with you to provide you with a specifically tailored catering package for your needs. We know that everyone wants something different for their special event, so Gerhard is the man to talk to. Give him a call today. 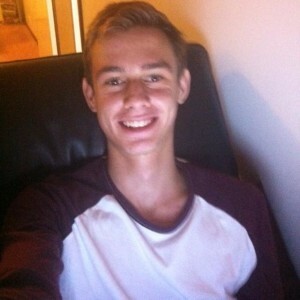 James McNally has been a member of the Capital Roast Team since 2012. He has built up his experience over the years and in 2014 has controlled logistics from the kitchen to any special occasion. His a crowd-pleaser and believes his strongest aspect is to make a Wedding a memorable occasion. His experience and ability to manage both the food service and the bar is a fantastic attribute for any function. His experience goes back as far as his schooling days where he received the highest honours in Hospitality. He is also a My Dinner Box customer which in his own rights make him a master chef, feel free to ask him about My Dinner Box Specials, a partner company of Capital Roast. Julian Lowe has been a long serving employee of Capital Roast. Some say that the famous great tasting Pork Crackling of Capital Roast was served at his 1st Birthday party and ever since that day he has been working on serving up the very best pork crackling in Australia. 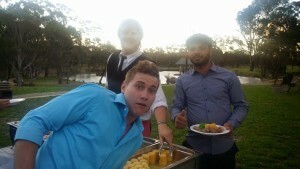 His service at functions always exceeds the client’s satisfaction. Julian will make sure that your special day is well presented, that food is great tasting, hot and ready to serve. Tom has been in the catering business since 2012. He has been slowly building up his skills and experience and since the end of 2014 been a fantastic Capital Roast Artist, organising and serving backyard parties to gourmet wedding parties of up to 300 people. His presentation of events and food is of the highest quality and his service is something he prides himself on. A company as well oiled and run as Capital Roast Catering requires someone who knows what they’re doing running the show. Allen has been a committed member of the Capital Roast family since 2012 and has worked for many years directing traffic and making sure everything runs smoothly. He’s ran major Wedding events and is able to manage a number of staff to for such events. When Allen says jump we all say how high? 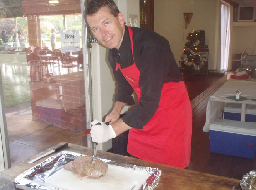 Allen’s attention to detail combined with his big picture understanding of how a catering company works has meant Capital Roast Catering is one of the most well regarded catering companies in Canberra.